Note: Images below are gory and may be found disturbing by some. Proceed with caution. If this is your first time reading one of these posts this is where I discuss my return to the comics medium after a long hiatus. The journey to that return in chronicled in this post and this one. Since detailing that journey subsequent posts have usually been on topics surrounding one particular character and the depiction in various media. Now in discussing Hellraiser as a franchise I do realize that I am not dealing with a hero. When you’re dealing in the horror genre, particularly as the franchises spawn sequels and spin-offs, you are more concerned with the villain. In the case of some truly unfortunate films it’s the antagonist you prefer because the protagonist(s) are lacking. When discussing Hellraiser specifically one interesting aspect of the property is that it really does illustrate another area wherein prose, film and comics have some overlap. Specifically I am thinking of the connection between auteurs, or writer/director if you prefer, and comic creators. Naturally the link between those and author exists there too. For one of the films, a book and now a few comics series that title is held by one man: Clive Barker. 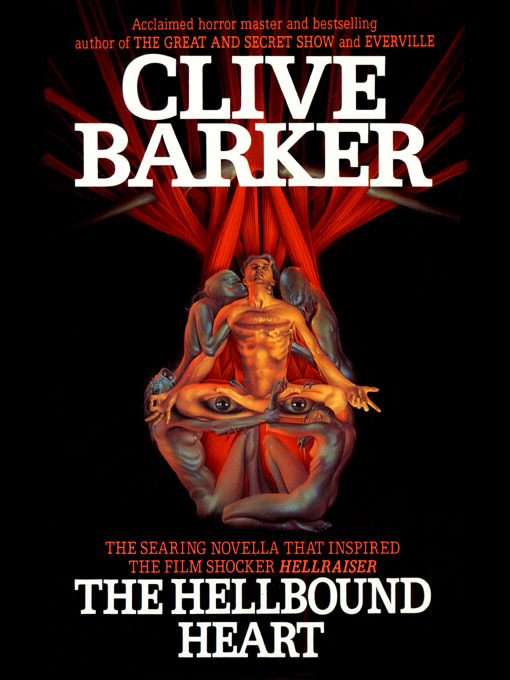 The Hellraiser concept was first introduced in a novella by Barker entitled The Hellbound Heart. This story was first anthologized in November of 1986 and was released as a standalone book after the success of the film. Clive Barker is one of the few artists working today that one can truly call a renaissance man. There is virtually no creative endeavor he hasn’t sought out – he writes novels; has written and had plays produced; he’s a photographer; and he paints, hundreds of his works now form the illustrations for his Abarat series. Prior to writing and directing Hellraiser, he’d acted as writer or director on a number of films including SalomSalomé, The Forbidden and Rawhead Rex. When the narrative of The Hellbound Heart was to come to cinemas he took on both challenges. 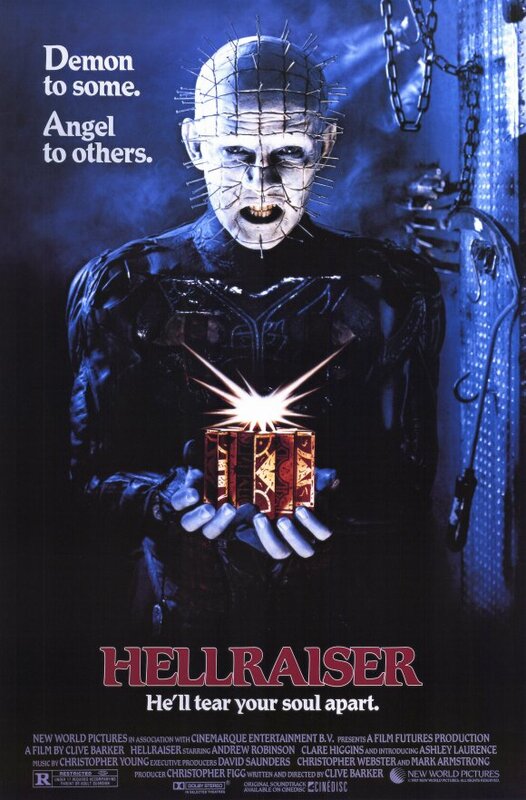 Hellraiser was one of New World Pictures most successful titles and a work of visionary horror. Though Barker did have input in the sequel and the third film his control over the film series was never equal to what he had that first time around. The results have never been the same again either. Considering that it’s a world of his crafting that he executed on film so brilliantly the first time around, it was folly. If you’re brave enough to watch the decline of the series, it is a sad thing; one I didn’t have the stamina to write about. However, with horror franchises on film that tends to be the case. It’s a case of gradual decay and occasional slight resurgence after the studio takes control of its fate and the creator of the entity eventually moves on to bigger and better things. However, Barker’s name still has caché, and is so synonymous with Hellraiser, for obvious reasons, that Dimension has taken to using his name in sequels he had nothing to do with. This has caused Barker to publicly disclaim these assertions stating that the story did not come from his mind or any other orifice of his body, to paraphrase. It is lamentable when a film franchise falls that far from grace. There is a reboot in the works, which he is producing that may right that, but there is all that wreckage in the past and only the original film stands as a masterful work of horror. That is, of course, if you limit yourself to film. Recently, Barker has taken to writing for the comics medium for the first time. Since Hellraiser joined the Boom! Studios line-up he was the guiding force behind a 20-issue series, followed by a 4-issue mini-series and now a new Hellraiser ongoing series has picked up a different thread of the mythology. Barker is not always credited as authoring the script, but has been, and is definitely guiding these tales. Just sating that creator/auteur urge of having someone who understands the world and how to tell new stories within it would be enough for most. However, the series have also been fantastic so far. I’m fairly selective about monthly titles and have never dropped them off my pull-list and more often than not these titles have been at or near the top of best issues of the month. Many times they show what the medium can do. The artwork, typically done by different artists, appropriately and seamlessly, is gorgeous and lush. The writing is smart and the structure intricate. It lends itself to re-reading, and reading in trade, but also works in single-issue format, I believe. That’s a hard trifecta to pull off. Fans of the world, the antagonist Pinhead and the heroine Kirsty Cotton would likely be pleased by this run of books which is ongoing. Fans of Barker in general should be glad that there’s yet another outlet for his creative genius as in June Boom! will debut his first original 12-issue limited series called Next Testament. It seems that both Barker and the Hellraiser have found a new place to call home, the comics medium. That’s a good thing for both of them, but it’s an even better thing for fans and we should all be reading.